and out of nowhere done a bang-up job with the McLaren MP4-12C. 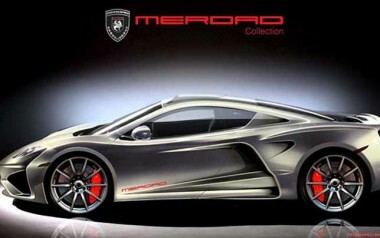 As impressive as McLaren's offering is out of the box, to our eye, Merdad has made it better. It has done so with a body kit that beefs up the svelte lines of the standard car. Up front is a new splitter with cues from the Ferrari 360 and GT by Citroën. Along the sides, gone are the twin gills, replaced by a single, massive vent that elegantly separates a fine front form flowing into a meaty business end. In back are new vents and color-cued diffusers and provide the type of rear end you'd expect from the house of the F1. Merdad hasn't said much about it, but rumor is that we'll see it next week at the Frankfurt Motor Show, and it will be released next year along with a GT3 version.